Dr. Mohammed completed his MBBCh at Ain Shams University in Cairo, Egypt in 1982 where he did his internship as House Officer (1983 – 1984). From 1984-1986 he had his residency in Orthopedic Surgery Department, Ain Shams University, Cairo Egypt. During this period, he completed the Basic Microsurgery Training at the Egyptian Military Academy in 1984. In 1986, he received his master degree in Orthopedic Surgery from Ain Shams University. Dr. Mohammed then went to Italy in 1988 where he took an Advanced Course in Microsurgery followed by a fellowship of Hand and Microsurgery at Duke University Medical Center, NC, USA (1989 – 1991) and a Doctoral degree in Orthopedic Surgery in 1992 back at Ain Shams University in Egypt. Dr. Mohammed has earned many fellowships and memberships throughout his career. 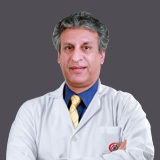 He is the current president of the Pan Arab Federation of Societies for Surgery of the Hand (PAFSSH). He was Co-founding Member, member of the board and Ex-president of the Egyptian Society for Surgery of the Hand and Microsurgery (ESSHM). 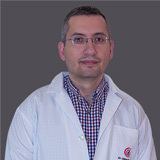 He is also a member of the American Society for both Surgery of the Hand (ASSH), and a member of the American Society for Peripheral Nerve (ASPN). 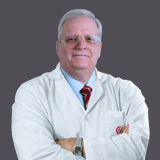 He is a member and International Faculty of AOTrauma, an honorary member of the Romanian Society for Surgery of the Hand (RSSH), and a member of the Egyptian Orthopedic Association (EOA). Dr. Mohammed spent his residency in Orthopedic Surgery and Traumatology at Ain Shams University in Egypt (1984 – 1988). He worked as an assistant lecturer (1988 – 1992) and then as lecturer (1992 – 1997) for Orthopedic Surgery and Traumatology at Ain Shams University. 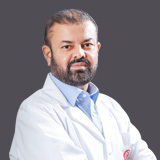 Dr. Mohammed continued there as Assistant Professor (1997 – 2002) and as full Professor (2002 – present) of Orthopedic Surgery and Traumatology. 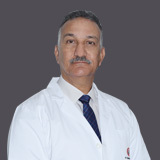 Dr. Mohammed spent a sabbatical as a Consultant of Hand and Microsurgery at Al Razi Orthopedic Hospital, Ministry of Health, in Kuwait (1993 – 1999). He iscurrently Chief of the Hand and Microsurgery Unit and Head of the Hand and Foot Unit at Ain Shams University since 2012. 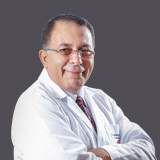 Throughout his career, Dr. Mohammed conducted regular service as chief Hand and Microsurgery Surgeon in several public hospitals in Egypt, including El Demerdash Public University Hospital, Heliopolis Hospital (1999 – 2014), Al Helal Hospital (1999 – 2004). Also, he is the head and chief of Hand and Mivrosurgery in a number of private hospitals in Cairo including Cleopatra Hospital and Cairo Medical Center (1999 – present). Dr. Mohammed has supervised a large number of Master degree essays, Doctoral degrees theses in Ain Shams University and discussed many in most of the Egyptian Universities. He also has many publications to his name, the latest being “Trapezial Osteotomy for the treatment of Trapezial Dysplasia. Annals of Plastic Surgery. 71(5): 485-488, Nov2013”. Dr Elmahy's experience covers all Hand surgery fields including congenital, traumatic, and inflammatory conditions. He is a pioneer in management of Brachial Plexus Palsy, either recent in the new born or late reconstruction. Different congenital hand deformities and their treatments conventionally or with microsurgical methods. Special expertise in management of the Rheumatoid Hand, basal joint arthritis, and distal radio-ulnar joint disorders has been gained along the many years Dr Elmahy has been dealing with and lecturing those subjects. 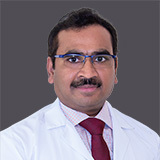 The everyday management of hand and wrist fractures has been part of Dr. Mohammed's routine work and his high expertise in Microsurgical limb reconstruction since his Doctoral (PHD) degree in the management of bone defects with Microsurgical techniques. 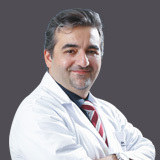 Also Dr. Mohammed’s well known skill in peripheral nerve surgery, tendon surgery, and treatment of joint injuries in the upper limb has been highly appreciated and has got him invited and participated in many specialized conferences and meetings in many countries.